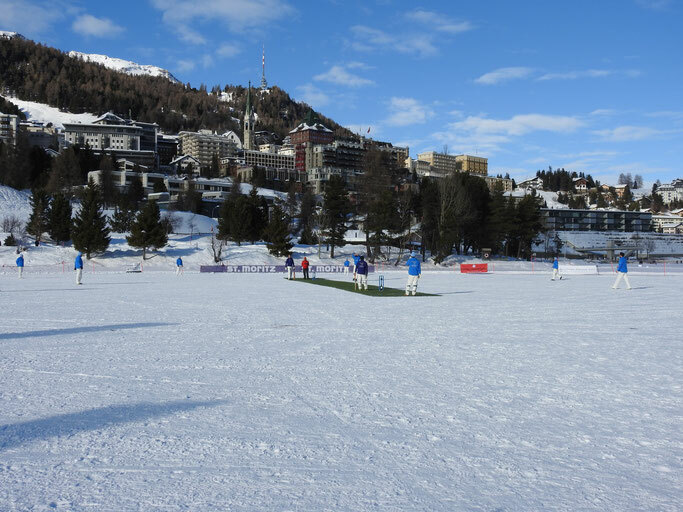 Cricket on Ice 2018, the 29th Cricket on Ice Trophy Tournament and the most prestigious event in the domestic Swiss cricketing calendar took place on the lake of St Moritz from Thursday 8th to Saturday 10th February 2018. 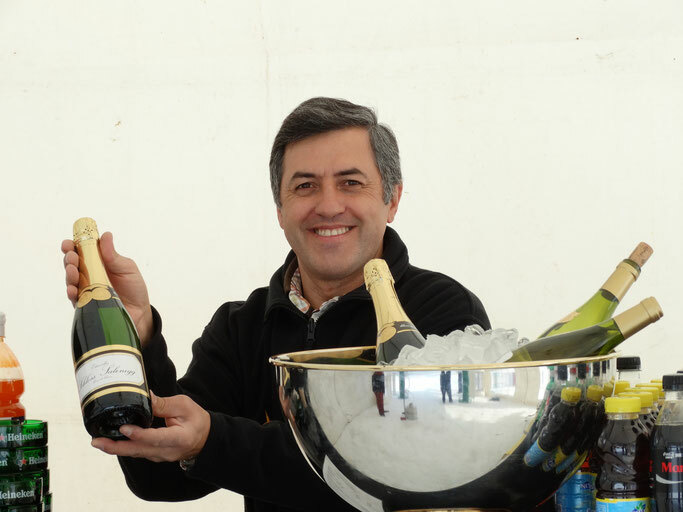 Old Cholmeleians XI won three from three games to win the event for the second successive year. In 2018 scores & results were documented using cricHQ, Cricket Switzerland's online results partner. 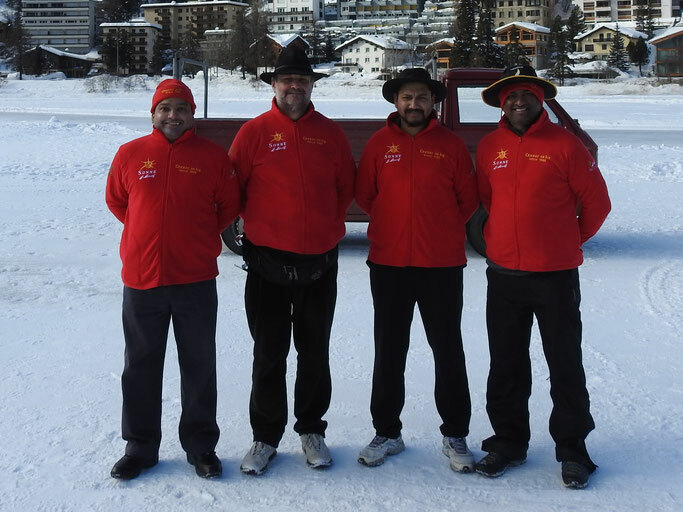 The officials for this event were Mr. Peter de Boeck (Umpire, Belgium), Mr. Rakbir Hasan (Umpire, Italy), Mr. Sunil Rajappan (Umpire, Engand), & Mr. Asvin Lakkaraju (Umpire, Switzerland). If you would be interested in officiating at this event in the future please contact Alex Mackay. In 2018 Daniel Weston and his team at German Cricket TV were at every match to catch all the action. In addition to wicket-cams and cameras around the boundary, both umpires will also wore cameras in a chest harness to ensure we caught all the action at Cricket On Ice 2018. Off the ice, the black-tie awards banquet will take place at the Hotel Steffani on Saturday evening from 7pm. We are very grateful to the sponsors & supporters of Cricket On Ice 2018. 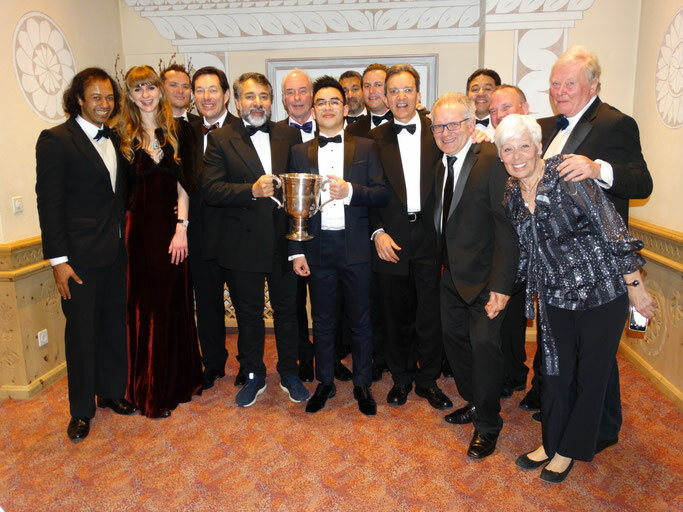 Photographs from 2018 Cricket on Ice Trophy are available in the 2017 gallery.